So you plug in your flash drive and get the mostly annoying message: “USB device not recognized”. Or you discover that your device isn’t working without giving any message at all – which is even more annoying, if not flat out rude. So what can you do? Well, before pulling out your hair, cussing at your computer or getting out a hammer just relax and read on. Because there are 11 possible causes and solutions which I have picked from the net and present to you here in a two-part series. These are laid out for Windows XP but the principles apply for other versions as well as other OS. Just give it a go and with a little luck and diligence, you may have a working flash drive again! #1 Your operating system may not meet the minimum requirements, especially if its an older version like Windows 3.1 or 98. Check with the flash drive packaging, manual or the manufacturer’s website to see what the requirements are. If you find that your OS isn’t compatible you may want to try formatting the drive to a different format. The best solution however would be to upgrade to a newer OS. (Where have you been all this time? #2 Often this message is brought about when the flash drive was not properly removed via the “safely remove hardware” procedure. Often, a drive is still being operational or written to when simply yanked out. Since that can corrupt the memory (and your data! ), the error message is likely to appear next time you plug in your drive. Check with another USB port if you have one and see if it gets recognized there. If it doesn’t, check with another computer altogether. If it works there, you know the problem is with the respective computer/OS and not the flash drive. As a possible solution, simply reboot that computer. This may help as the computer will reload the drivers and settings for the removable hardware. You can also try restarting the computer with the flash drive plugged in. 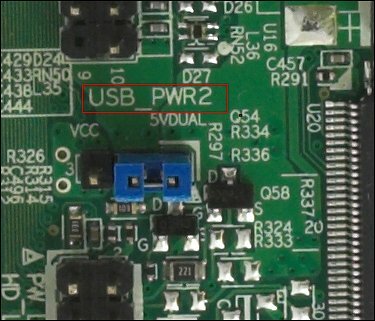 Be aware though that this is also often the cause for the “USB device not recognized” error. So this approach is kind of like “a tooth for a tooth”. In the future, make sure to click on the remove hardware icon with the green arrow. 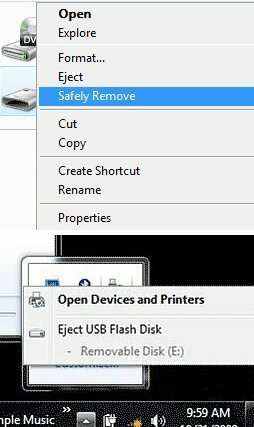 Or to right click on the USB drive icon on your desktop or in “my computer” and choose “Eject” or “Safely Remove”. Alternatively, you can ensure that the “safely remove hardware” balloon notification is turned on in your settings (so that this wont happen again). Go to your start menu, right mouse click “properties”, then at the bottom click “customize” – which opens a new window named “customize notifications”. 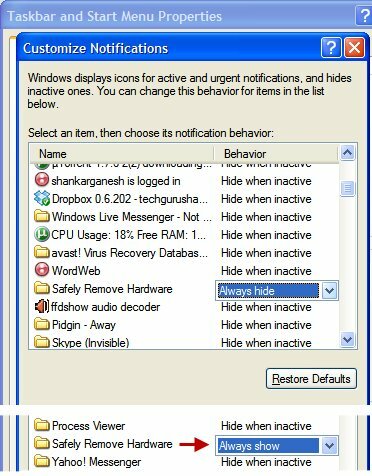 To the right of “Safely Remove Hardware” choose “hide when inactive” or “always show”. So next time you get notified, click on the balloon and follow the safe removal prompts. 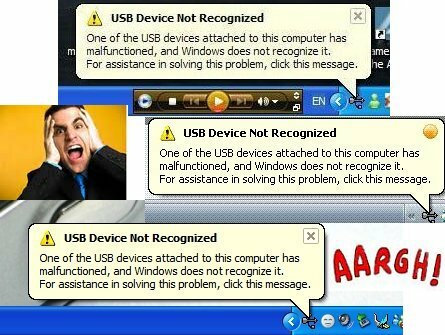 #3 Your USB port may be broken or just throwing the occasional hissy fit (they’re entitled too, aren’t they?). To find out, plug in another USB device and see if it works or gives you the same type of trouble. If so, try the rebooting solution for #2 or simply buy a new USB port. #4 It is also possible this is caused by switching the flash drive between different computers (which is pretty much its purpose, isn’t it) and generating drive letter conflicts. But usually this only happens when you have a fixed drive letter assigned to it via your main computer which is in conflict with the letter assignments on the other computer. Drive letter conflicts may also suddenly occur after service pack upgrades. In this case, assign or change the drive letter. Go to the control panel, use category view, choose performance and maintenance, click computer management and then disk management. 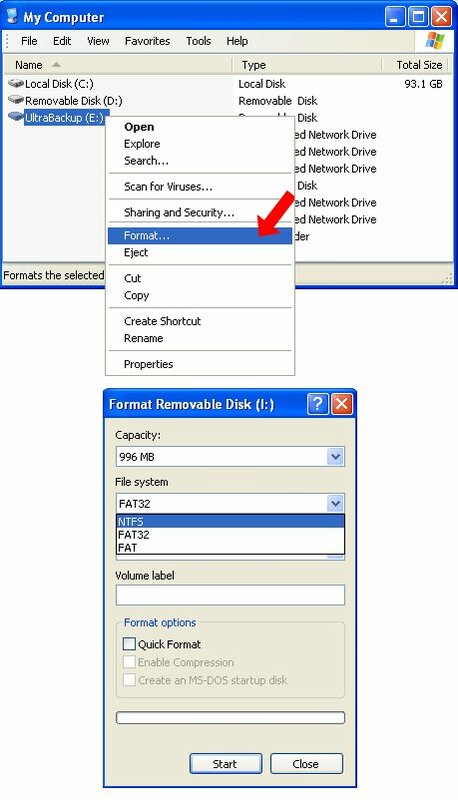 After you have located your flash drive, use right mouse click, choose “add”, “assign the following drive letter” and “accept”. 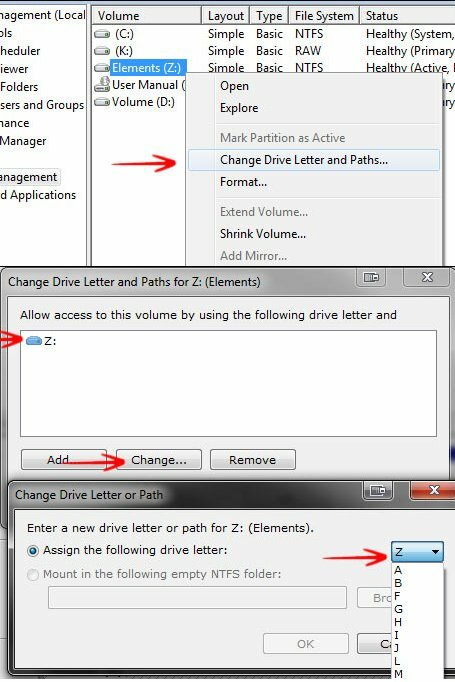 If you just need to change the drive letter, find the one associated with your USB drive (via disk management or “my computer”) and click the right mouse button and choose “Change Drive Letter and Paths”. This will display a window with the currently assigned drive letter. Click on the “change” button in that window so that a drop down list with all the possible drive letters will appear. Simply choose a new one that is less likely to cause conflicts like x, y or z. You can insert the flash drive and see if it shows up with the newly assigned drive letter. #5 Your current USB driver may be outdated. 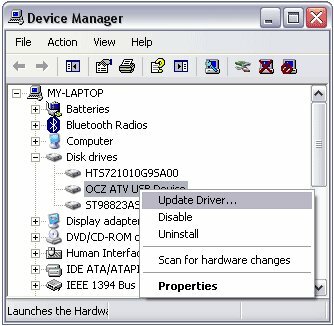 Go to your start menu, “my computer”, right mouse click and choose “manage” and then “device manager”. Locate your flash drive which may be found under disk drives, DVD/CD-ROM or USB controls as USB mass storage. Click your right mouse button and choose “update driver”.